‘Tori-no-ichi’ is a festival that accordingly originated at Asakusa area during Edo period (1603-1868). People in Japan, especially in Tokyo, believe that praying and offering to the God of Otori (Otori means giant bird in Japanese, namely the eagle here) can bring you back good fortune, health and business prosperity. 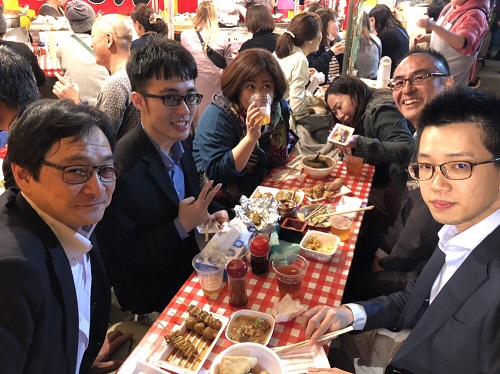 A group of e-Jan members represent the company, going to visit Tori-no-ichi festival every year in November, praying for an even better business performance in the coming 12 months. The shrine, Hanazono Jinja, that e-Jan members visited was established to honour not only the God of Otori, but also the Goddess of Konohanasakuya-hime, a Japanese Goddess that related to bring people talents and skills, who receives faithful belief from many Japanese TV celebrities. One shrine, with two Gods ‘living’ inside makes Hanazono Jinja a crowded place with visitors, especially during the Tori-no-ichi festival. 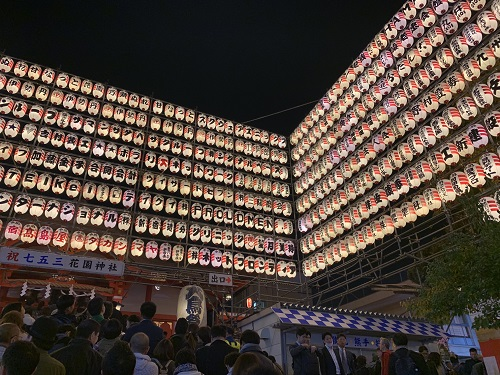 The street snacks are something you shall not miss when you go to the Tori-no-ichi festival. Having lots of street snack shops open during a Japanese festival like Tori-no-ichi could be at least traced back to Edo period. 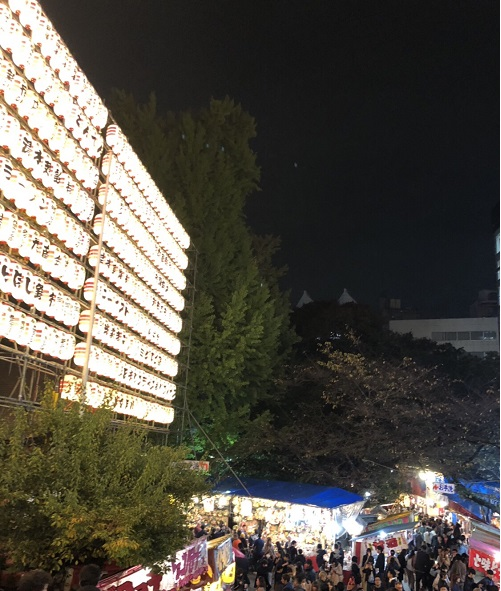 One might feel that as if they were experiencing what people in 18th and 19th century had enjoyed while walking around those snack shops at the ancient shrine. Usually, it should have been quite difficult for one to get a seat at those street snack shops, but this year when e-Jan members visited ‘Tori-no-ichi’, we were lucky enough to get one, It was such a great fun talking about different cultures, sharing each other’s experience of going for a Japanese festival (a.k.a. matsuri) while drinking Japanese sake (a.k.a. nihonshu), and having Japanese-style skewered chicken (a.k.a. yakitori), that everyone just did not feel like bringing this party to an end. When we left the shrine, we have already started to look forward to coming for the Tori-no-ichi festival next year again!